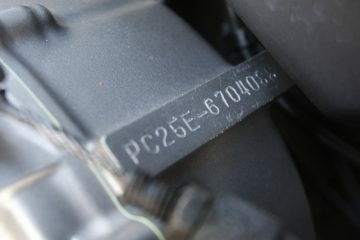 The lower price tag that comes with a written-off bike can be very tempting, especially if you know your way around a bike and are handy with the spanners. This means the insurer thinks the repairs are going to cost more than the bike is worth (Cat C) or that the costs are so significant or likely to take so much time that it’s not worth it (Cat D). If you are not sure what a Cat C or Cat D bike is, read this. But it doesn’t mean that someone who isn’t repairing on behalf of an insurer can’t do the work economically, and indeed make a profit doing so. Just because an insurer thinks the bike is uneconomical to repair, the same may not be true of a bit of do-it-yourself or indeed a professional repairer. The key to understanding this is to try and understand the insurance industry. Aside from the obvious, like bike theft and bogus whiplash claims, the reason your premiums are so ridiculously high is the insurance repair eco-system. We’ll give you a direct example from our own stable. Biker and Bike’s Paul had his Daytona 675 stolen from outside the office. Fortunately, the theft was seen and the thieves were chased down the road. They promptly dropped the bike and escaped on scooters. 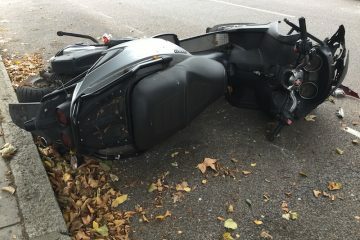 Unfortunately, dropping the bike caused a bit of damage, mainly to the bars, wing mirror and a few other bits and bobs. As it came to around £600, in Paul’s judgement, he claimed on the insurance and he dropped the bike off at an authorised repairer. Imagine his surprise when the repairer quoted closer to £1500 and they needed three weeks to do the work. He actually argued that it didn’t need half the things they said needed doing – it’s a used bike and he didn’t really mind the odd scratch on the mirrors. He really didn’t need the three-week wait without his bike. Nope, the repairer wanted to ‘do the job properly’ and so the work was done. Paul’s bike now looks like it has just come out of the showroom. And you can see the problem, can’t you? The insurer has had to stump up around £800-900 more than a punter would do (leading to higher premiums, of course). 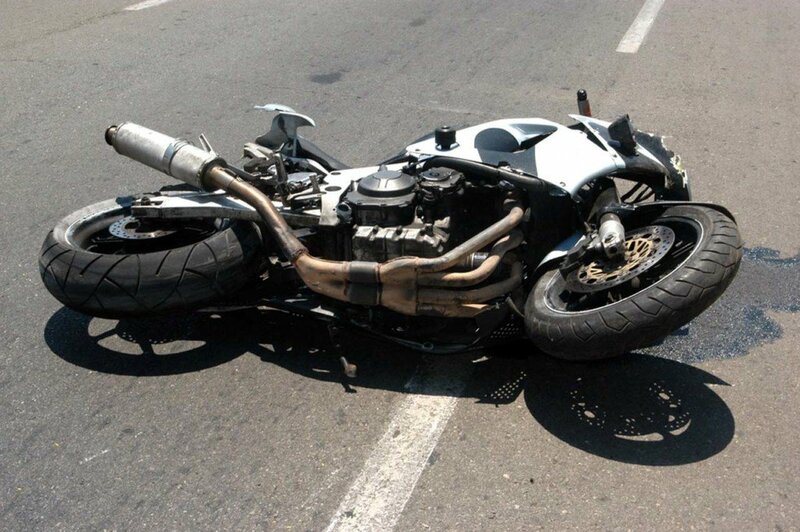 Another important issue is timescale, especially if the insured biker who had the accident qualified for a hire bike. If the replacement parts would have taken two weeks to arrive, that’s £50 a day for a hire bike. Times that by 14 days and you are looking at £700, for £200 forks on a £1,000 bike. This is when the insurer thinks it’s not worth it. But if you were the owner and accepted an offer of £900 for the bike, could buy it back for £300 and then spend £200 on the forks then you are on to a winner, obviously. So, typically, when a bike is written off Cat C or Cat D, there is a big difference between what the insurer thinks should be spent on the bike to get it right and what everyone else thinks. Which is why there is a healthy market in written-off bikes and why they are so tempting to professionals and DIY’ers alike. However, there’s no guarantee the people specialising in these types of bikes are always going to play with a straight bat. Just like any business, they are out to seek a profit. And like many businesses, they will often cut corners to maximise their profit potential – not everyone of course, but definitely some. Now, with a pretty ordinary trade-in that needs the odd bit of fettling doing it to it, this is not so risky for the used bike buyer. But with a bike that has had possibly significant damage, you really need to be sure that the work has been done properly. If the bike has already been repaired as a Cat C or D bike then it’s buyer beware, as usual – there is no guarantee the work has been done properly. Get the bike inspected by a competent professional before buying, especially if you are buying from a private seller. If you are buying from the trade take a good long look at the circumstances of the seller. Is it a professional-looking outfit? Do they have a good reputation that they don’t want to loose? Or are you buying from a back-street operation where clearly corners are being cut – out-of-date HSE signage, knackered tool boxes, lack of proper ramps etc. You know the type of place. Although the MOT is no guarantee of the quality of any repairs, it is an indicator of road-worthiness. If the bike is over three years old and has had recent Cat C repairs, I’d pretty much insist on a fresh MOT. Don’t forget you are buying a previously-owned bike and that its current circumstances are not the only thing that could affect a successful recommissioning – study the bike’s documents for signs that the bike was well-kept, serviced on time etc. It would be a shame to find that, after spending £500 on getting a bike looking great again, it had severely worn rings or other problem caused by lack of regular maintenance. It’s still a used bike purchase, after all. 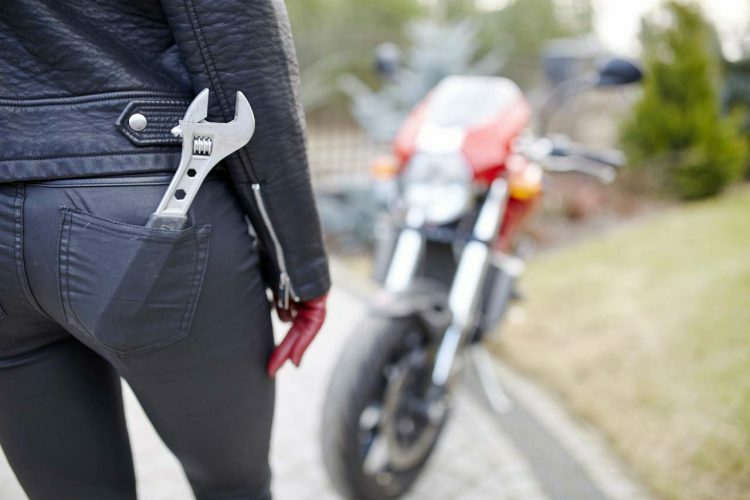 If you have found a pre-repair Cat C or D bike and you’re handy with the spanners, then you’ll hopefully know exactly what you are getting and pretty much what you need to do. But you still need to be careful. It’s important to consider the type of accident the bike has had. I once put a Daytona 955 down the road. 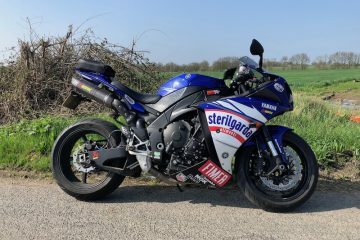 Even though it would have needed £800 worth of fairings plus new clip-ons etc I knew by the type of spill (less than 20mph on a wet hairpin) that no significant damage had been done and I could put the bike back together quickly (or not) doing the work myself. But if the bike has signs of a significant high side or front end impact – even ‘just’ a kerbing, then you need to think about the impact this could have had on the bike’s geometry. Generally speaking, the guys who repair bikes professionally only want to deal with cosmetic or light engine casing damage. Anything that could affect the frame or steering and it’s often a non-starter for them. One very key thing to consider is resale value. Do remember that the bike will never fetch top dollar once it has the ‘Cat’ tag and that you are better advised to inform the next owner should they ask (it will show up on searches anyway). Traders must do this by law. So when you are making your buying decision, think about resale time. If that’s not important and you just need a cheap bike you can repair yourself, then everything should stack up. If, however, resale is important to you, especially that you want a quick unhindered sale, then the saving you make up front may not work in your favour when it’s time to sell. You’ve got this far so perhaps you’re seriously considering buying a write-off. Generally speaking, it costs more to insure a written-off vehicle. 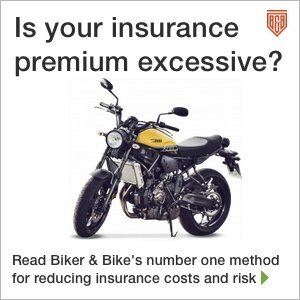 That’s if your insurer is even prepared to insure even a lightly damaged bike – many are not. This is why so many bikes end up as ‘track bikes’ – sports bikes dedicated to track days and racing only – never seeing the road again. Likewise trials and scrambler-style bikes that are swiftly dedicated to the dirt only. There are a couple of ways to find out if Cat status will affect future insurance: Speak to your current insurer, but remember, if you do buy a Cat D bike, you might find a better deal elsewhere. Or, create two searches on a comparison site, ensuring all details are the same except for the email address and name you use, and on one of them declare that the bike is Cat D. This will give you a pretty accurate indication. If it all stacks up, and you trust the source you are buying from, there’s no reason why a Category C or D bike can’t be a great find. Don’t forget that ultimately this is a used bike purchase, so check the history, check the seller and get the bike checked if you can’t do it thoroughly yourself.